Discussion in 'Troubleshooting & Support' started by old_aussie, Nov 26, 2018. Previously I was able to click on the TSW shortcut on the desktop and the game would stsrt. Now, when I click on the shortcut icon on the desktop I'm required to log into x-box to proceed. I bought the game from the Microsoft Store. I would never have purchased the game if the system requirements said I needed an x-box account. There is no mention in system requirements that an x-box account is neede3d to start the game. Wasted money, last purchase ever of dovetail games and last purchase from Microsoft store! That's because you bought the Xbox One version. For the Xbox One. TSW does not have Xbox Play Anywhere functionality, as it is not an Xbox One console exclusive. Things on the Microsoft Store always show what platforms they can be used on. As you can see, in the Available On section, it shows what the game is available on, unsurprisingly. This is the page for Forza Horizon 4. The website is the same (still the Microsoft Store but a different colour because it's an Xbox game). Here, it says Xbox One, PC and Hub (which is presumably the Surface Hub). Xbox One games can be bought on all internet-enabled devices, like my computer, my Xbox One, my phone, even my PS4 and Xbox 360 (no native support for those but, like many others, you can use the preinstalled apps on the systems to buy it). You've bought an Xbox One game on your PC. As for the desktop icon, I honestly have no idea what you're on about. 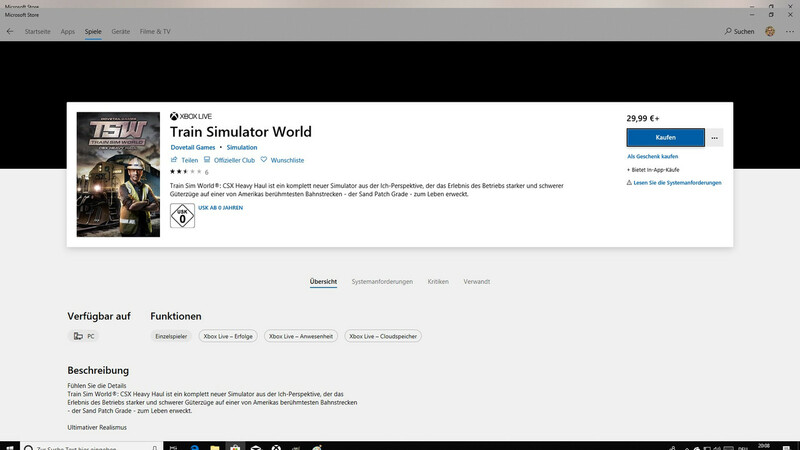 TSW for PC is only available on Steam, so getting the hump over the Microsoft Store is a waste of time. 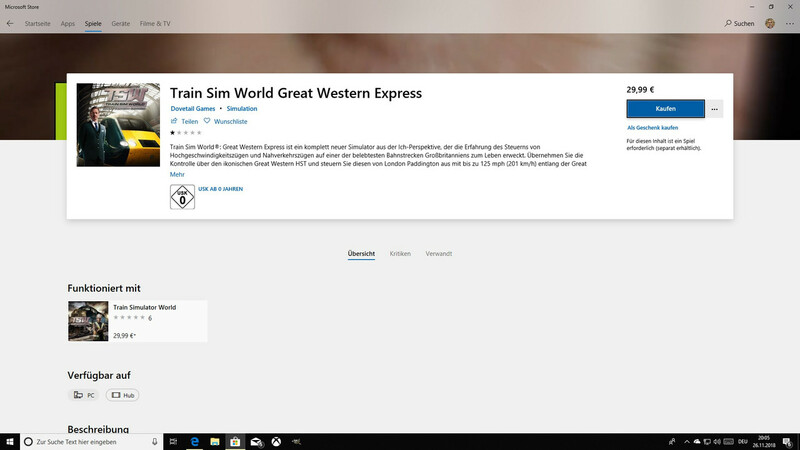 Well, there´s a Version of TSW in the Win10 Store. As for the XBOX Account, the game itself does say "Xbox Live" above which indicates that a Xbox Account is needed. But since you already have a Microsoft Account you already have a Xbox Account aswell. It should generate a Random Gamertag and your ready to go. That answers it then. I guess I didn't see the PC version because I'm on Windows 8.1 and Microsoft don't support it like Windows 10 (despite them being very similar). So yeah, just sign in with your Microsoft account and boom, you're in. Actually, something interesting is that both the Sony Entertainment Network and Microsoft Accounts (if I am right in remembering) are just PlayStation Network and Xbox Live accounts, with more features added in.